A compounded prescription is a medication that is tailored to fit the needs of an individual patient. It can be as simple as making a tablet into a liquid or as complicated as making a medication dosage specific for one individual person. Goodson Drug Co. has been compounding since we opened. Working with dosage forms such as liquids, creams and troches, we are able to prepare a range of medications that are a custom fit for any need. Even something as small as tweaking the flavor on a child’s (or adult’s) antibiotic can be done. There is a full range of flavors available to suit any taste. Short turnaround time is an area we pride ourselves in. Most common compounds are able to be prepared within the hour. As with any customized product there are exceptions. More complicated formulas and dosage forms can take a little longer. These are usually ready within 24 hours. 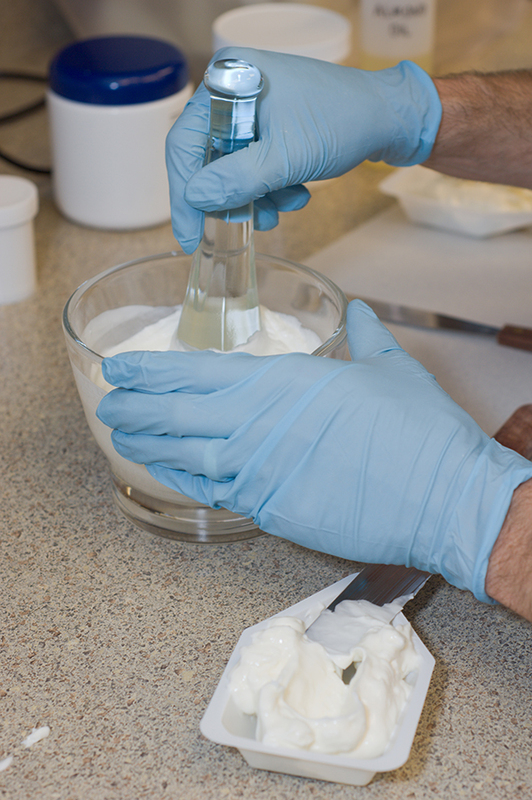 Compounding is not just for people, it can also be used with animal medications. Many times the dose of a medication that is needed for a pet is different than what is available for a human. By compounding we are able to make the dose to fit the animal. Much of the time this can be prepared in a capsule or a liquid, whichever is more convenient for dosing. As with human medication, a range of flavors is offered for animals ranging from fruity to savory (chicken and fish).